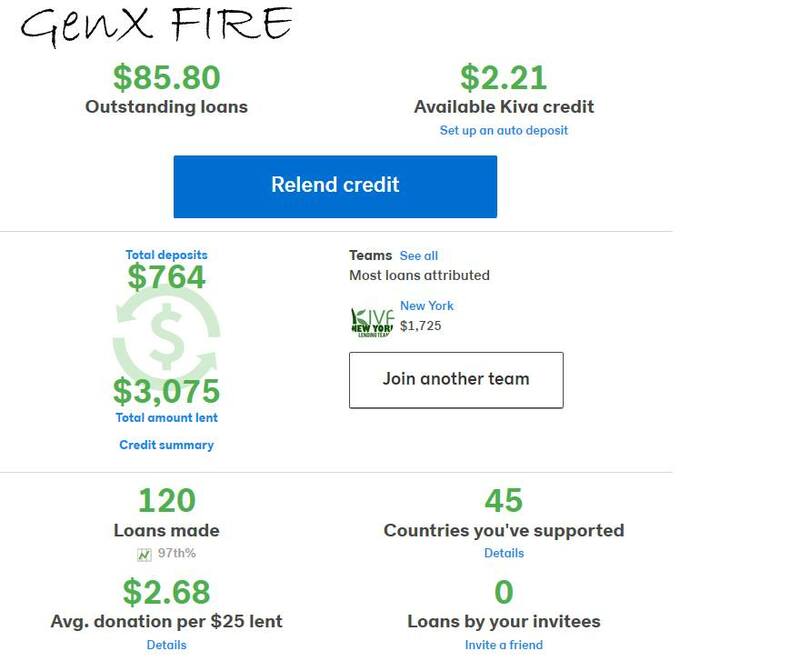 Back in 2007, I first heard about Kiva.org. I thought it was a great organization to help people help themselves. I always knew that rich countries like the US give aide to developing nations. Its clear that a fair amount of that is diverted or goes to purposed other than that which would make the most good. I don’t know the numbers, and in emergencies that is the best way to get aid there; just send the food and medicine when the earthquake happens and who cares is some if it is wasted if most of it gets where it needs to go. But, it occurred to me that Kiva can enable one to address the other side. This helps people help themselves. I like that idea, and over the years, it’s seemed to be working to me. As you can see I’ve lended and relended the paid back money quite a few times over those years. I’ve loaned to 45 of the 77 countries they operate in. I have added some over time as I donate a few bucks to Kiva to keep it all going. Today, I made my 120th loan. I do not earn money here, but I do help people all over the world. To say it selfishly, it makes me feel good to help people, and I hope this organization keeps going. There isn’t much more than this to me. I don’t spend much time picking people; it’s generally the first loan that seems like a reasonable proposition, which is most of them. I just thought folks might find this interesting, and if you have any questions about my experiences with Kiva, I’m happy to answer any questions. Next Are High Efficiency Appliances worth it?